Unilever is a leading suitor for GlaxoSmithKline’s local $3 bln “nutrition” business, which includes the 145-year-old malted milk drink. As obesity and malnourishment climb up the national agenda, however, sugary Horlicks could lose its healthy image and limit its shelf life. 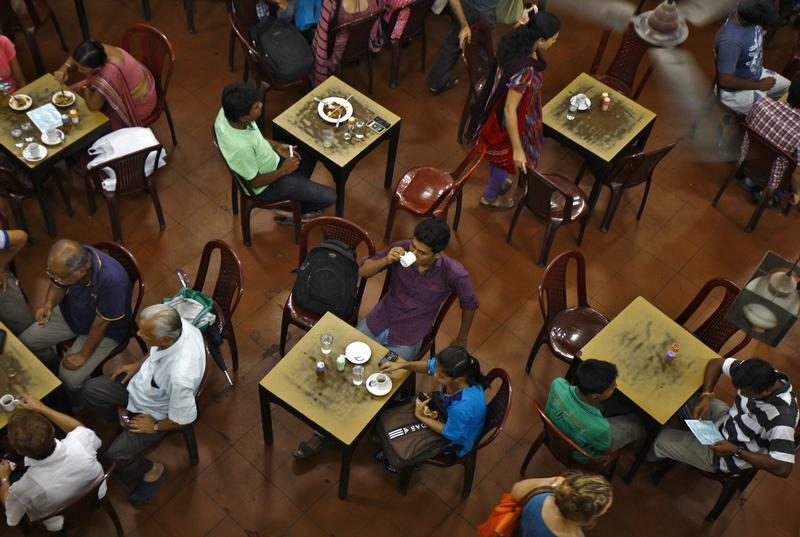 A customer drinks a cup of coffee inside an Indian coffee house in Kolkata June 20, 2014. If the hot spell continues and the white stem borer beetles pest continues to spread, India's coffee crop could fall to its lowest in 17 years when the harvest starts in October, pushing up global prices that are already rallying due to drought in top exporter Brazil. Picture taken June 20, 2014. Unilever, the Anglo-Dutch consumer goods company, has offered to pay roughly $3 billion for control of GlaxoSmithKline’s Indian business, which includes the Horlicks malted milk beverage brand, Bloomberg reported on Nov. 28, citing unnamed sources. London-listed GSK announced a strategic review of Horlicks and other “Consumer Healthcare nutrition products” in March to help fund recent acquisitions. It added that the brands under review had sales of roughly 550 million pounds, or $704 million, at current exchange rates. The vast majority of Horlicks sales take place through GSK’s Mumbai-listed subsidiary, GlaxoSmithKline Consumer Healthcare, which has a market value of $4.2 billion. GSK owns 72.5 percent of the company. GSK’s Indian shares have increased 10.3 percent this year, to 7,192 rupees, compared to a 1.9 percent rise in the benchmark Nifty index.